SINSINAWA, Wis.—Sinsinawa Art Gallery will host “That Tree—Shades of Wisdom” February 3–March 31. 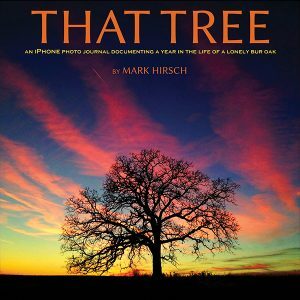 Professional photographer Mark Hirsch of Platteville, Wisconsin, spent a year taking daily photos of a lone bur oak tree after he was challenged to use the camera of his new iPhone. Mark took the challenge and started sharing the photos online (www.facebook.com/photosofthattree), which resulted in people around the world following his daily shoots and a book (www.thattree.net) chronicling his year with That Tree. 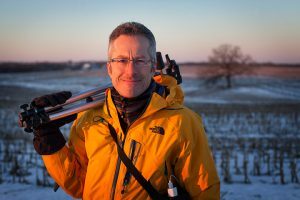 Mark shares how That Tree changed his perspective as he created amazing photos. Join us for an opening reception and gallery talk 6–8 p.m. Friday, February 5. The gallery is open daily, 10 a.m.–5 p.m., and “That Tree” is available at Sinsinawa Book & Gift Gallery. For more information, contact Michelle Till at 608-748-4411 or visit our website at www.sinsinawa.org. Sinsinawa Mound, the Motherhouse for the Sinsinawa Dominican Sisters, is located in southwest Wisconsin on County Road Z, off Highway 11, about five miles northeast of Dubuque.